USPS lost $3.9 billion in FY2018, according to a new report from the Task Force on the United States Postal System. 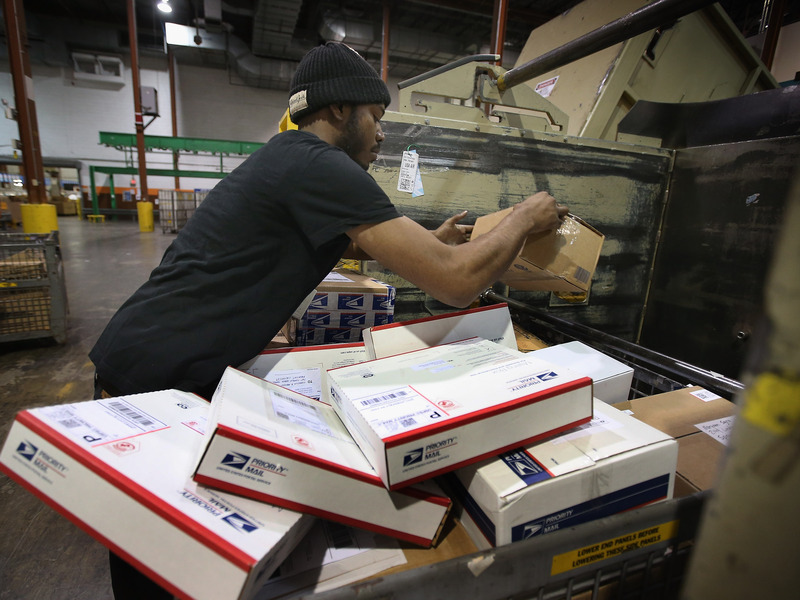 The task force made several recommendations in its report on how USPS could recoup losses. One tactic could be “franchising the mailbox” — charging private companies to allow deliveries to individuals’ mailboxes. You may have never thought of it, but there’s only one shipping company that can leave deliveries in your mailbox, rather than just on your doorstep — the United States Postal Service. And the USPS is famously not doing so well. It’s doing so badly, in fact, that President Donald Trump personally urged the federal agency to up delivery prices on gargantuan e-tailer Amazon. Meanwhile, other package delivery companies are cleaning up in the e-commerce era. FedEx reported strong earnings last quarter, and UPS upped its quarterly profit in 2018 Q3 by 20%. Still, the USPS has one key advantage over those private delivery companies — access to your mailbox. And the USPS Task Force wrote in its 70-page report on the flailing federal agency should “franchise” your mailbox to delivery companies in order to recoup losses. “By franchising the mailbox, the USPS could expand its revenue and income opportunities without necessitating any change to its current mail products,” the report states. The USPS is presently the only body that is able to lawfully access individual’s mailboxes. That “protects customers from theft, obstruction, fraud, and other mail-related criminal activity while protecting the personal privacy of consumers,” according to the task force report. Allowing certain private companies to access one’s mailbox to deliver small packages would give the USPS a new revenue stream. The task force, headed by Secretary of Treasury Steven T. Mnuchin, also recommended in the report that the USPS develops a concept for what its key customers are (particularly rural households), expand third-party relations, spin off its package delivery business, and other measures.